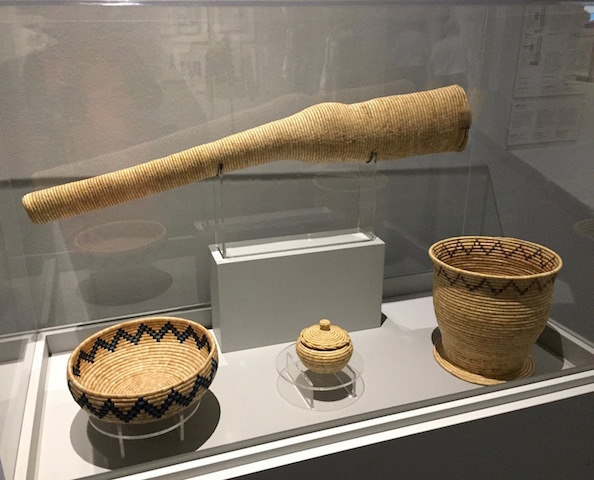 Inuit Art Isn’t Just Soapstone Carvings | What Next? 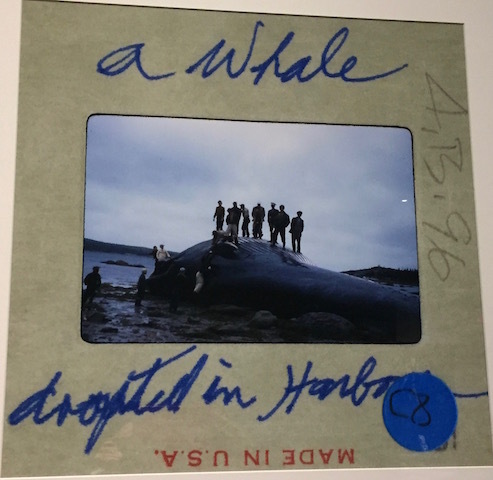 In the early 1990s when a small photograph of a metal artwork created by Inuit artist Michael Massie appeared in the journal Inuit Art Quarterly the magazine received a record number of letters from outraged readers claiming metal was an inauthentic Inuit art material. 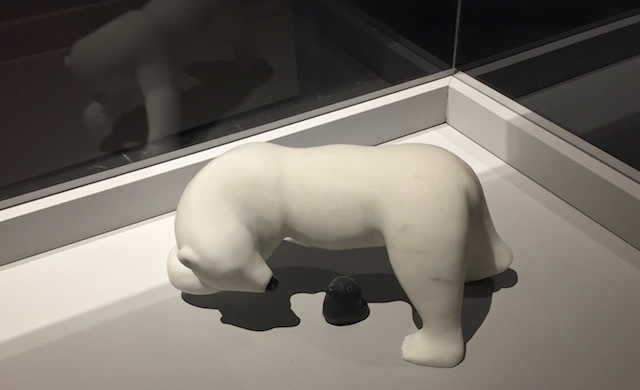 Michael Massie has been a pioneer in changing people’s attitudes about what can be considered Inuit art. A variety of his work is currently on display at the Winnipeg Art Gallery. Dr. Heather Igloliorte the curator of SakKijâjuk . Behind her is a map of Nunatsiavut. 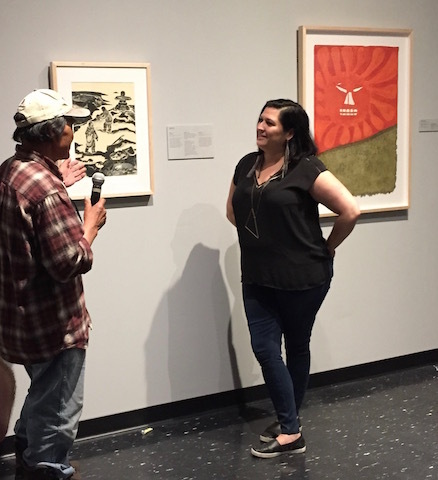 Last Saturday I took a tour of the beautiful new exhibit SakKijâjuk at the Winnipeg Art Gallery with its curator Dr. Heather Igloliorte. She told us that if art is made by an Inuit person it is Inuit art. 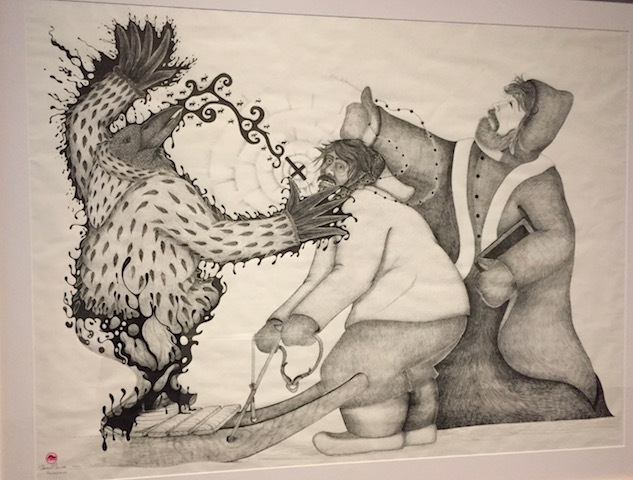 The artwork in SakKijâjuk was created by artists living in the Inuit communities of northern Labrador in an area called Nunatsiavut. These artists have had little opportunity in the past to exhibit or sell their work. 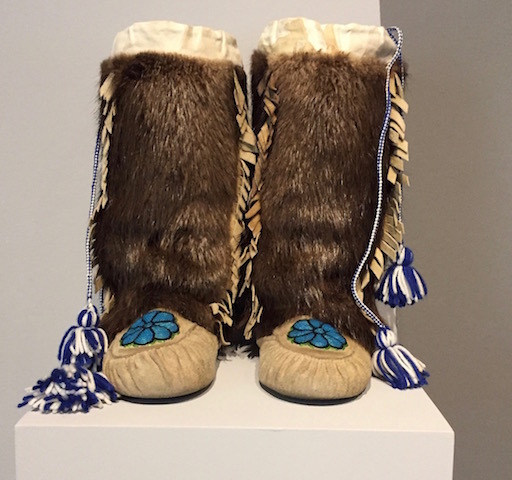 The word SakKijâjuk means ‘to be visible’ and the exhibit gives Nunatsiavut artists a chance to become just that. I was fortunate last Saturday to hear a number of the artists talk about their work in person. 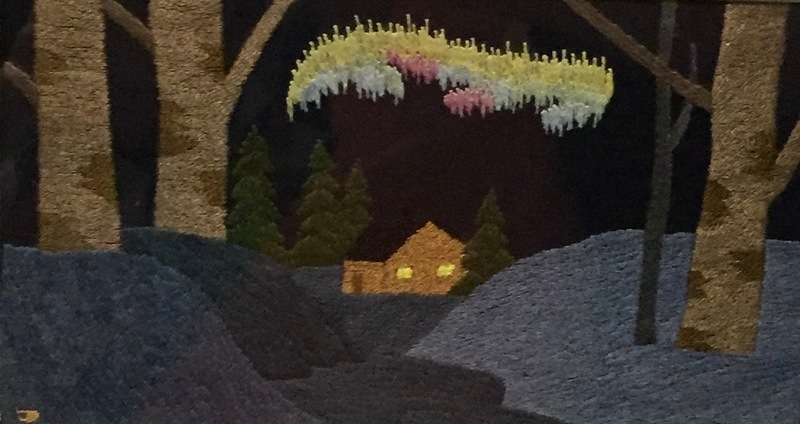 The variety of work in the exhibit is dizzying and delightful. There are beautiful baskets, mitts and moccasins. You can see dolls, coats, photographs, embroidery, lithographs, and wood carvings. There are slides, collages, drawings made with felt tipped pens and others with colored pencils. There are carvings but they are made not only from soapstone or serpentinite but with granite and ivory and marble as well. Inuit art may not be what you thought it was. Come to the Winnipeg Art Gallery and find out all the exciting things it can be!